Today, a growing number of men and women are turning to Botox® to reduce the appearance of facial fine lines and wrinkles. 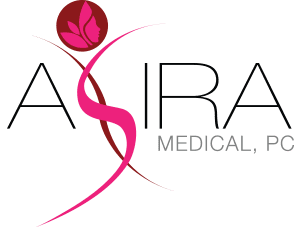 At Asira Medical in Yorktown Heights, New York, you can receive convenient Botox treatments from a board-certified physician. 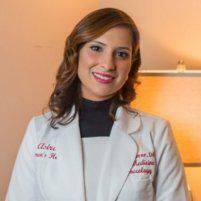 Dr. Monica Grover offers personalized consultations and can assist you in achieving your skin care goals. To learn more about Botox or other cosmetic treatments available, call today or book an appointment online. Botox is an injectable serum used for a variety of medical and cosmetic purposes. The serum blocks specific chemical signals and forces the muscles around the injection site to relax. Botox procedures are sometimes used to treat medical problems like migraine headaches or muscle spasms. However, they can also reduce the appearance of facial wrinkles and fine lines. Because Botox prevents muscles from contracting, the serum can also help prevent new wrinkles from forming. What can I expect from a Botox procedure? At Asira Medical, you’ll begin by meeting with Dr. Grover for a consultation. During the consultation, Dr. Grover examines your skin and reviews your medical history. She may ask you what results you’re looking for and explain how Botox can help. You can receive Botox procedures right in the office. During the procedure, Dr. Grover uses a fine needle to inject the serum directly into the skin around your eyes, nose, or mouth. The injections take just a few minutes to perform. After the procedure, you may experience slight redness or swelling. These side effects usually disappear after a few hours. Dr. Grover will explain how to care for your skin in the days following a Botox injection. While individual results may vary, many patients notice an immediate improvement. Full results usually appear within one to two weeks. The effects of Botox injections often last between four and six months. After that, you may need another injection to maintain your results. Many people feel nervous about Botox procedures, but Botox is a safe, effective method for treating wrinkles and fine lines. When Botox injections are performed in a sanitary medical setting, the risk of complications is very low. It’s essential to receive your Botox injections from a qualified medical professional like Dr. Grover. Complications can arise if your Botox injections are performed by a provider without medical training, or if your Botox serum isn't purchased from a reputable source. Fortunately, Dr. Grover is a board-certified physician, and she uses the highest quality materials in her practice. To learn more about whether Botox is right for you, call Dr. Grover today or schedule an appointment online.